Curve, Triangle or Rectangle: What Kind of Advisor Are You? At the Retirement Income Industry Association's 2017 Summer Conference, founder Francois Gadenne asserted that advisors can protect themselves from automation, regulation and commoditization by advising in three dimensions. 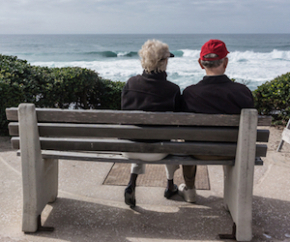 To solve for one couple’s retirement income needs, Mark Warshawsky of ReLIAS LLC proposed SPIAs and 7.5% annual withdrawals from an all-equity portfolio. RIJ will publish solutions from other experts in the coming weeks. Wealth management firms know they need next-gen ‘fintech.’ But many of them don’t know exactly which digital tools to buy or where to apply them in their businesses, tech vendors say. Managed payout funds haven't gotten much traction in the last decade. But T. Rowe Price hopes that its target-date fund/payout fund hybrid, the Retirement Income 2020 Fund, will help it retain money that rolls out of its retirement plans. Distribution of the Symetra Advisory Edge and Advisory Income Edge products began in April through Merrill Lynch, Commonwealth and Raymond James. Has the Fiduciary Rule Lost Its Sting? 'The government is no longer defending the BIC Exemption’s condition restricting class-litigation waivers insofar as it applies to arbitration agreements,” lawyers from the Departments of Labor and Justice wrote in a July 3 filing in a Texas federal appeals court. One bill would mitigate adviser conflicts of interest with new disclosure requirements. The other was a funding bill that included a provision not to enforce the existing fiduciary rule, which became effective June 9. Income Solutions is not just a point-of-sale or a provider of price quotes, but also the destination point of a virtual pipeline from 401(k) plans whose sponsors support it by educating participants about the importance of lifetime income. The beginning of the end of “leakage”? Retirement Clearinghouse (RCH) completed its first live test of 'auto-portability,' thus demonstrating the feasibility of a nationwide automated network that would ensure that 401(k) accounts followed participants from job to job. Smart Track Advisor allows advisors to bill for their advisory fee separately or have the fee (up to 1.50%) deducted from the annuity contract without disrupting any guarantees. Brief or late-breaking items from Jackson National Life, eMoney and Betterment.